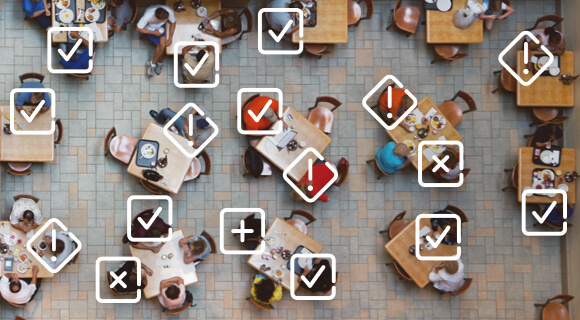 Offering granular visibility into wired and wireless networks, AirWave is the only management platform designed with mobile devices and apps in mind. By proactively monitoring the health and performance of all things connected, AirWave lets IT gain the insights they need to support the digital workplace. Solve connectivity issues before they happen. With Connectivity Health, AirWave proactively monitors critical non-RF metrics — the time it takes for a mobile device to associate with a Wi-Fi radio, authenticate to a RADIUS server, gather an IP address through DHCP, or resolve names for DNS services. Custom alerts and simulated client testing, enable IT to take proactive action against future performance problems. 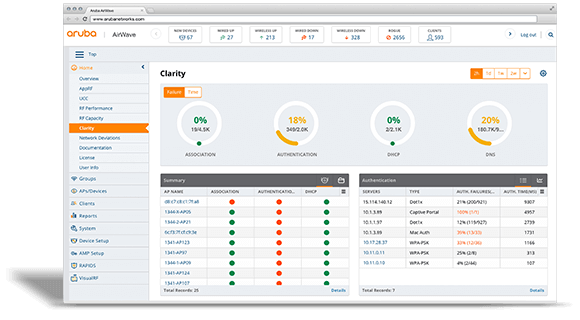 AirWave lets you monitor client behavior, proactively troubleshoot application issues, and plan for capacity. See what’s inside all those mobile apps. 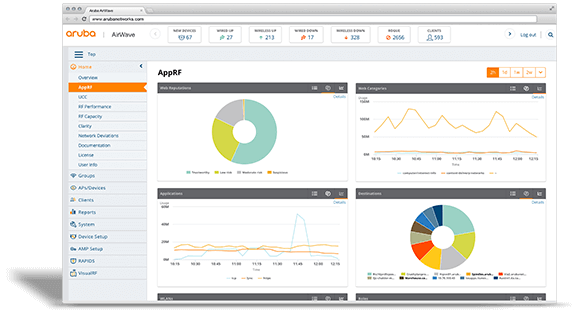 With Aruba AppRF, AirWave provides deep visibility into performance and usage of mobile and web apps. Reputation reports allow you to quickly take action against high risk sites and control Wi-Fi usage by app category. User role, device type and location specific insights let you make quick decisions to protect business critical apps. AirWave uses VisualRF to allow for time-lapse mining of Wi-Fi coverage – enabling wireless network engineers to record and replay 24 hours of RF heat mapping. VisualRF also powers location specific, visual analytics on mobile and web app usage, mobile device performance, mobile UC voice and video quality, and more. Simplify management of multivendor networks. 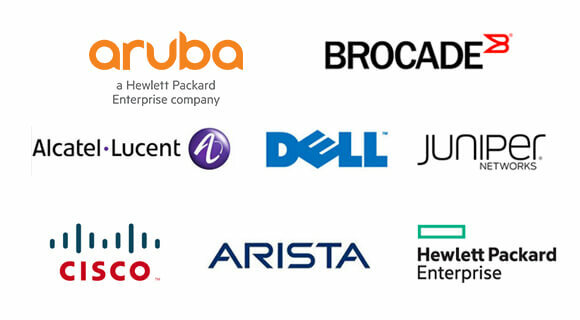 Get granular visibility across your entire access infrastructure and manage multiple generations of wired and wireless networks from just about any vendor – from controllerless to controller-managed and from legacy Wi-Fi to the latest 802.11ac WLANs.